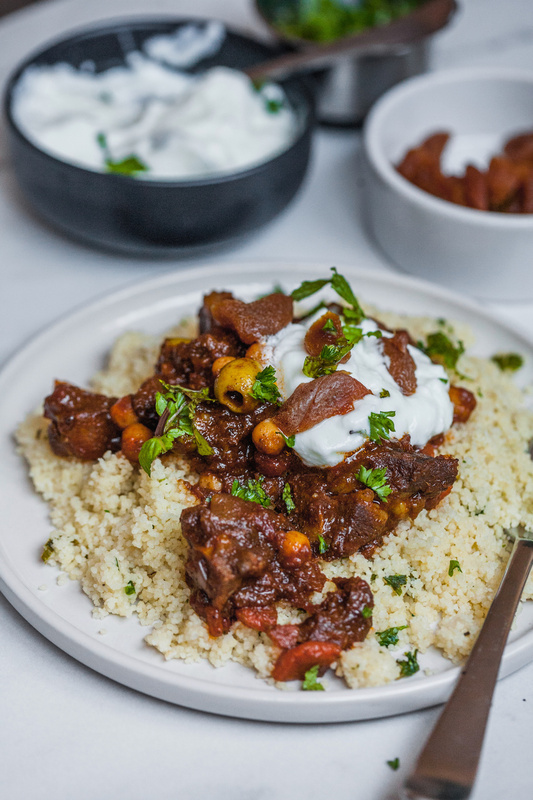 Moroccan flavours have always been elusive but loved by me. I truly can’t remember my first experience tasting Moroccan food. 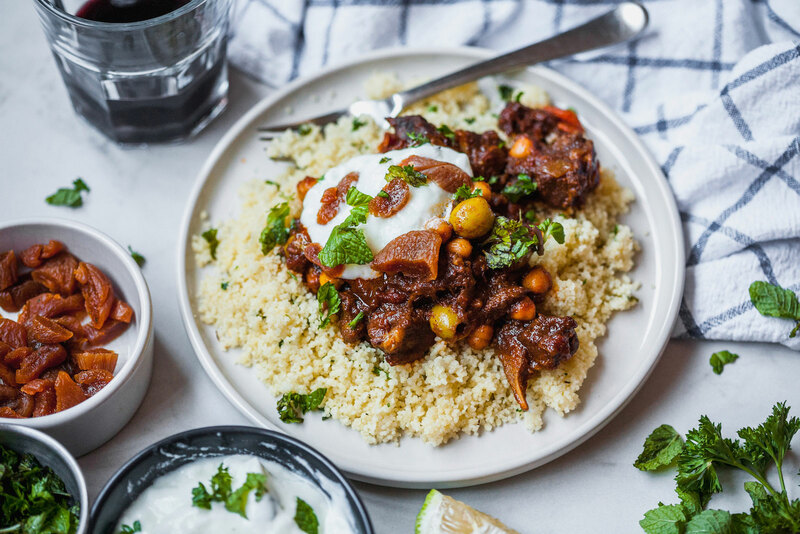 I absolutely love the flavours in Moroccan dishes and the style of cooking. I love how layered the flavours are too. There’s usually an element of sweetness, some spice, a bit it tangy and salt as well in their dishes. 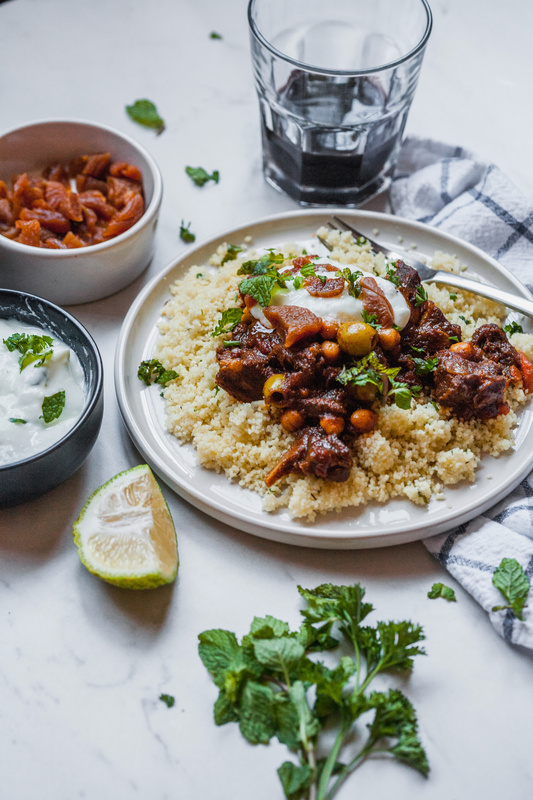 That is as far as I go describing the flavours because I still am quite unversed when it comes to the complexity of the dishes and the flavours and the variations of these depending on the region of Morocco. 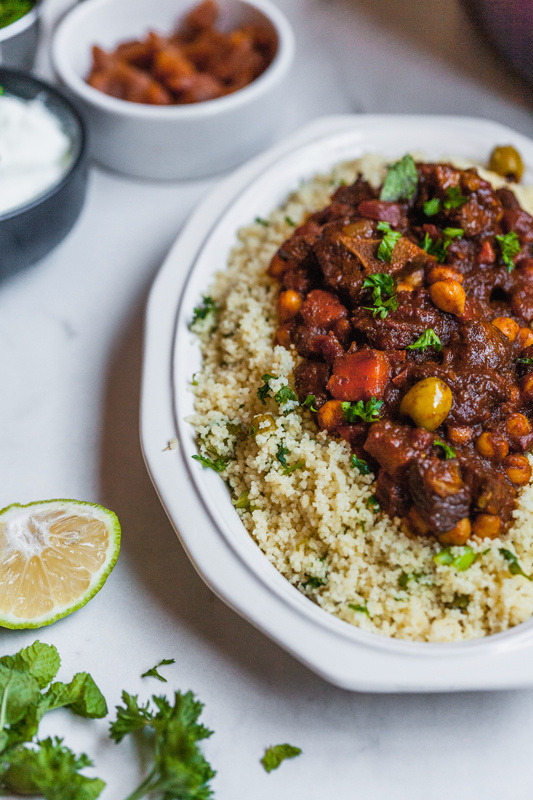 I have tried several simplified recipes to a basic Moroccan Tajine/tagine (stew) and the flavours have always lacked something, and I knew that it is because you really can’t get those complex flavours by cheating this dish. 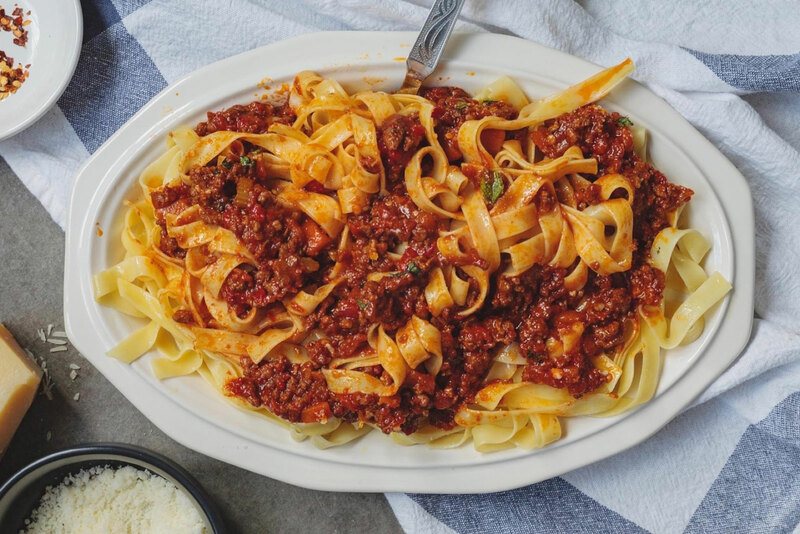 A real eye opener to that was when one of Deborah’s (Rainydaybites) Cookbook challenges included any one of Paula Wolfert’s (amazing food writer and author of at least 9 cookbooks) cookbooks. 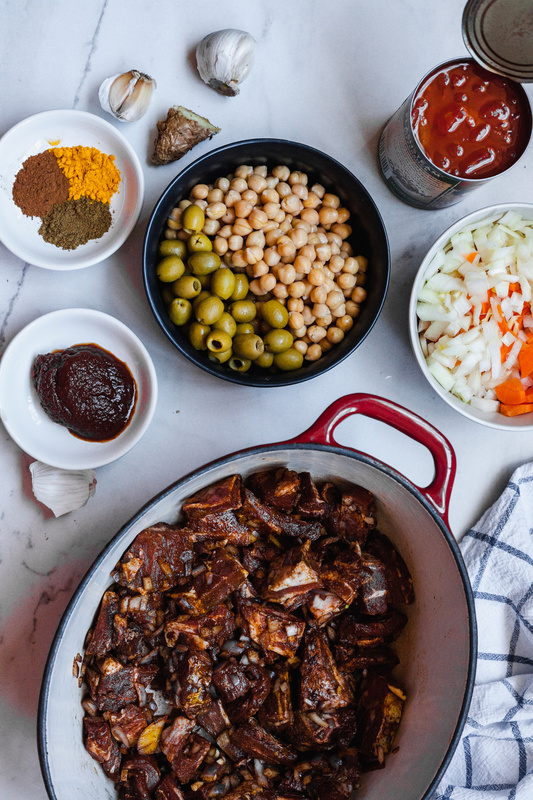 I chose The Food Of Morocco as my choice because i wanted to learn more about Moroccan food and more importantly it was the only book I could buy and download. If I order any books they literally take months to come and even weeks still through Amazon Prime and would cost triple the price because of Customs Tax. Anyways her writing and photography are beautiful and I wish I had the actual book - it would be a great coffee table book just for the amazing food and street photography of Morocco. 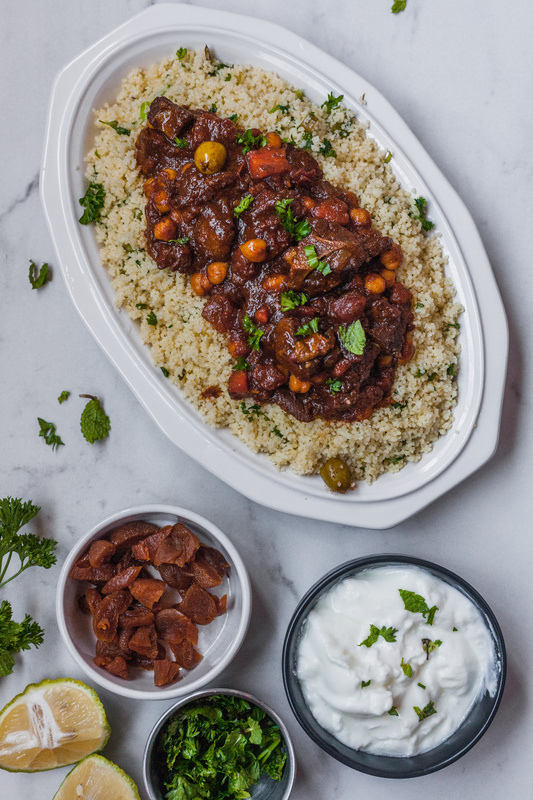 I realised through that book that really any cheat recipe for a traditional tagine is truly cheating you out of experiencing Moroccan food. That truly was discouraging not because I shy away from a challenge but more so because I can’t get half the ingredients here to even make a proper ras el hanout and of course I don’t own a traditional clay tagine, so I was on a mission to try to find a recipe that still uses traditional flavours but ones that I could easily find here and I would have to settle with using my heavy bottom Dutch oven in place of a traditional clay tagine. I did this with the help of thekitchn and also Melanie from NaturallyNutricious and a few other recipes I had made in the past. I love the outcome. The meat is so flavourful from the very deliciously spiced up marinade. The meat is then cooked with the very same spice combinations and then simmers away slowly in the oven (covered in my clay pot aka Dutch oven) until tender. 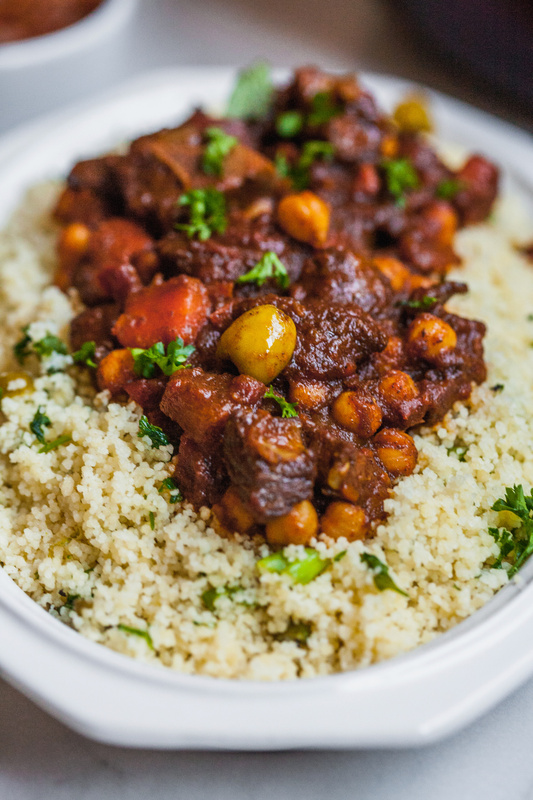 You end up with a very aromatic stew that has some brininess from the olives, some earthiness from the chickpeas, some sweetness from the dried apricot and is so satisfying. My husband loves stew. He is a stew man and this is one of his favourites. He couldn’t get enough and either could I. 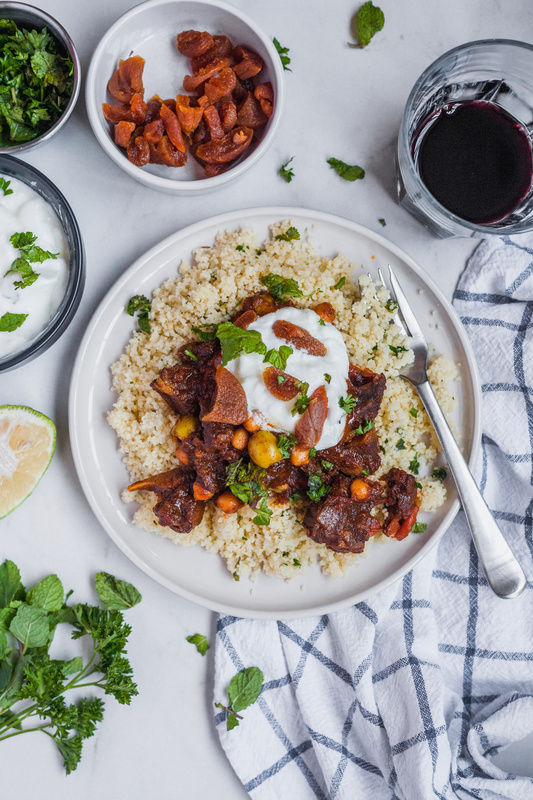 It is quite simple to whip up with very little prep work and the lemony couscous is the perfect accompaniment. 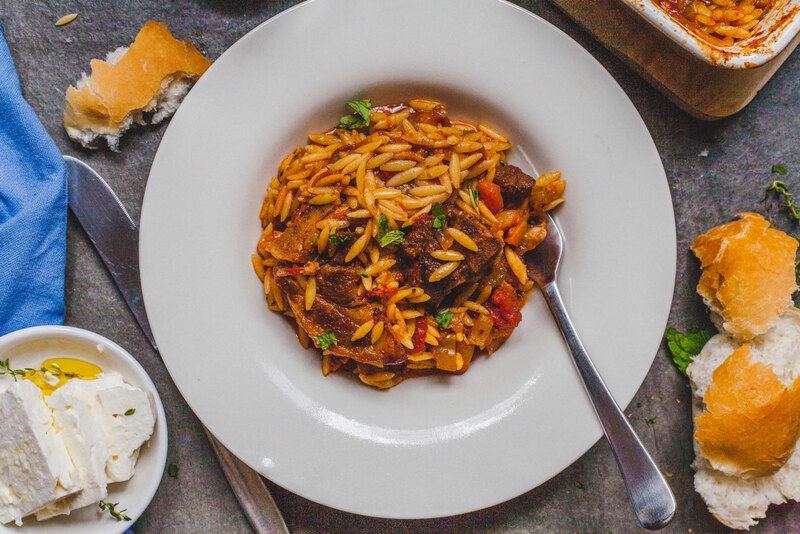 The toppings add so much to the dish as well and who doesn’t like a fresh herb garnish? 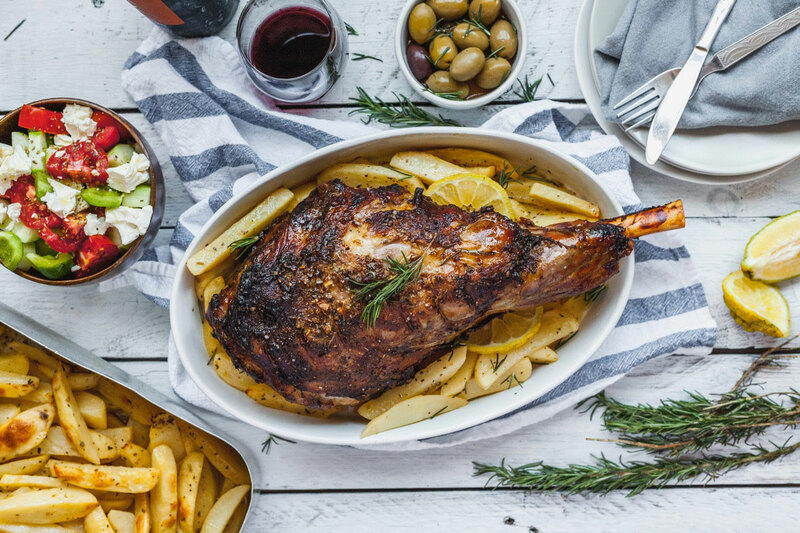 It’s the perfect meal for the weekend – kind of a low and slow food and great for company. And for those of us who have yet to experience Morocco, it gives us a little taste of it without even leaving our home. Place your meat in a large sealable bag or a bowl and toss well with all the marinade ingredients. Allow to marinate for at least a few hours and even better if it’s overnight. Reduce the heat to medium and add the chopped onion and carrot and sauté for a few minutes. Then add the garlic and ginger and sauté for a minute until fragrant and then add the rest of the spices. Mix everything well. Add the broth and allow to simmer for a few minutes while you scrape the bottom of the pot loosening all the brown bits and flavours. Add the tomatoes and tomato paste and simmer for another few minutes and then add the meat back to the pot and give everything a good stir. Bring back up to a good simmer, put the lid on and place into the oven and cook for 1 to 1½ hours or until meat is tender. Remove from oven and stir in the chicken peas and olives and if the stew is not to the thickness you want it to be put it back into the oven with the lid off and cook off the liquid for another 15-20 minutes or put it back on the stove top burner on medium high and cook until reduced to the preferred thickness. In the meantime make the couscous. Heat the olive oil in a medium saucepan over medium heat. Add the dry couscous, the parsley, chives, lemon zest, thyme, salt and pepper. Cook, stirring, for one minute, until well combined. Add the boiling chicken broth and the lemon juice, stir, cover and remove from heat. Let the mixture sit, covered, for 5 to 7 minutes, or until the couscous is tender and all the liquid has been absorbed. 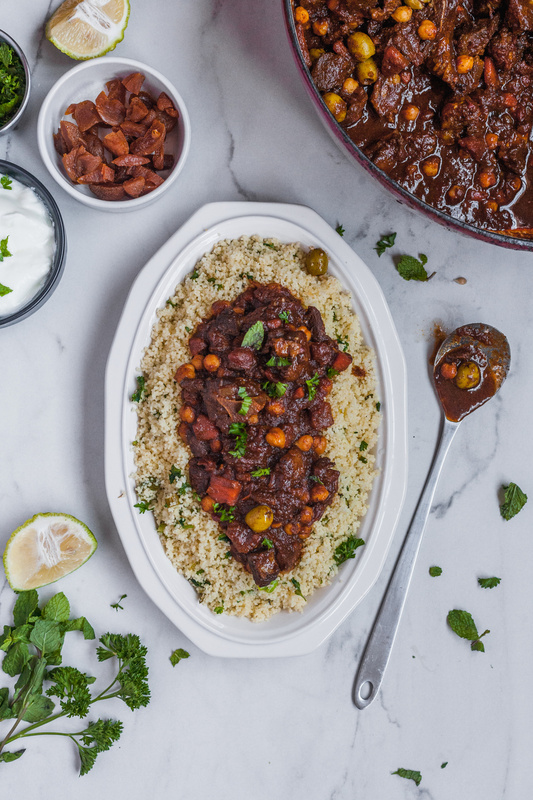 Fluff with a fork and serve with the tagine with all the fixings.